an increase in interior loss rates. fisheries access no later than three years post construction. intermediate marsh over the 20-year project life. 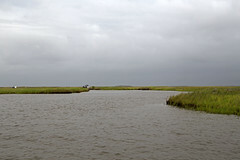 This project is located in Region 1, Pontchartrain Basin, St.